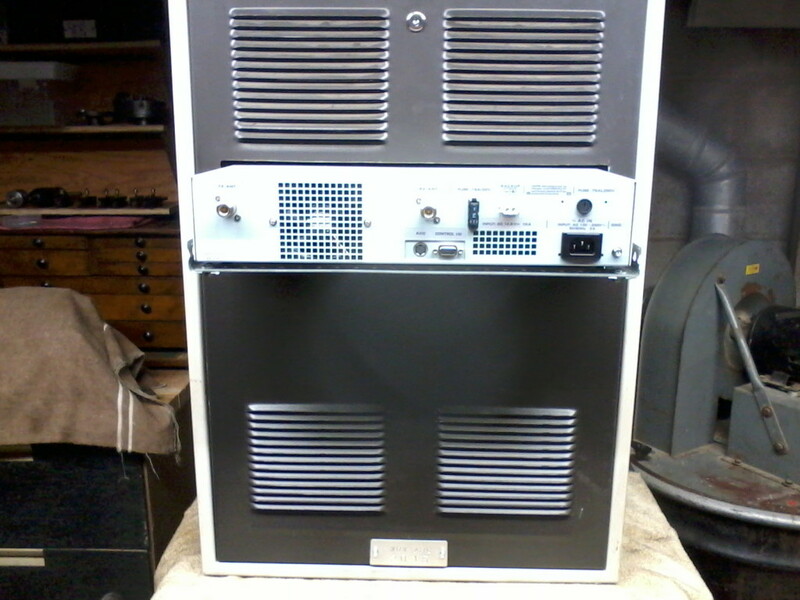 Thanks to Mike W2HYP and Fred WO2P, the new repeater is close to being ready for installation. Mike donated this Motorola cabinet, and Fred made some modifications to allow our repeater to fit. The cabinet is nice because it is fully enclosed, but it is very shallow. The repeater depth was quite a bit deeper, so Fred reversed the orientation of the brackets to give us an additional inch and a half, then cut an opening in the rear cover of the cabinet to allow the repeater to protrude out the back. Since the repeater is fully enclosed, it should be fine. 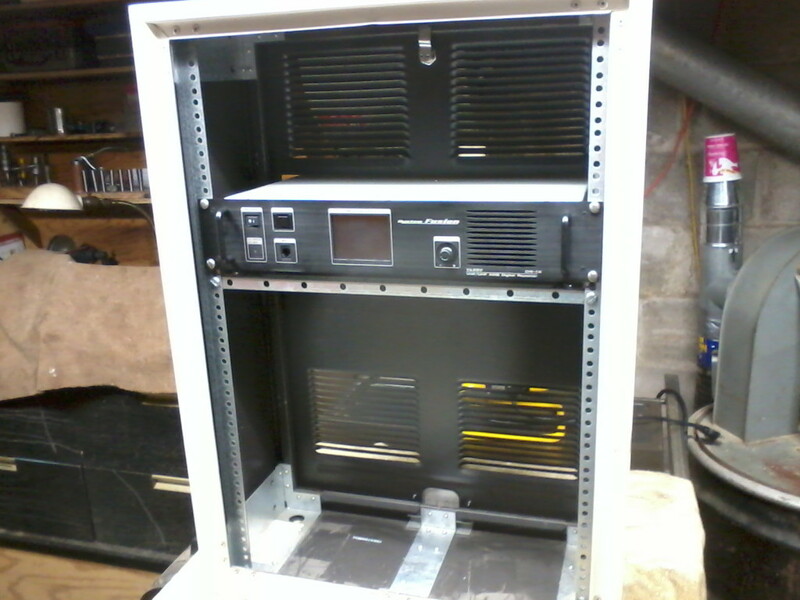 He also fabricated a shelf for the repeater, as Yaesu recommends a shelf to help support the weight. Additionally, he made plates with threaded holes to captures the bolts to hold the repeater. So it looks like a solid installation that should last for years and handle future expansion if required. 90% of the ventilation holes in the repeater chassis are outside of the cabinet, so cooling shouldn’t be an issue.